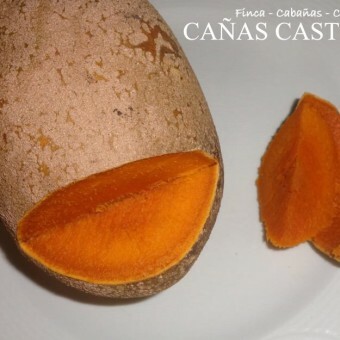 Come to Cañas Castilla, take part in the natural country life, and have an unforgettable experience. 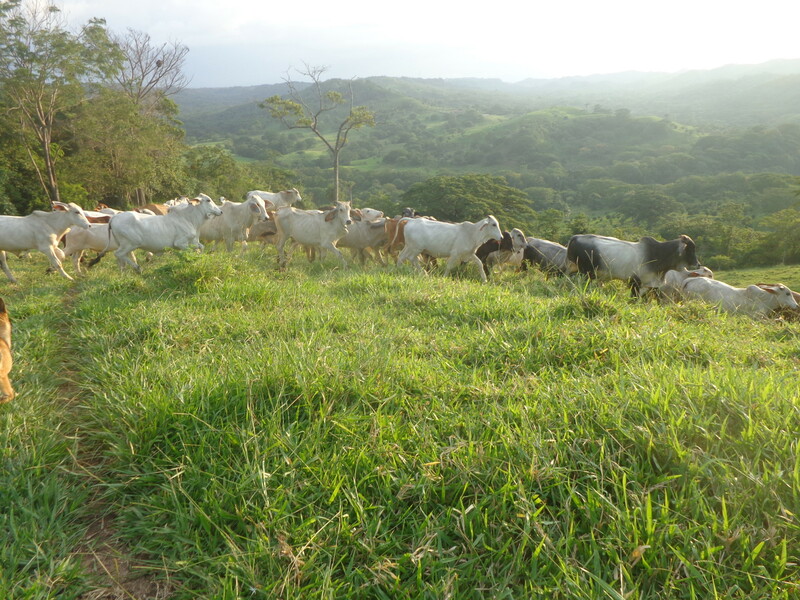 Make an unforgettable experience of the life in the country and the nature on our farm Cañas Castilla, the little paradise at the banks of Sapoa River in Sonzapote, 7km away from La Cruz. 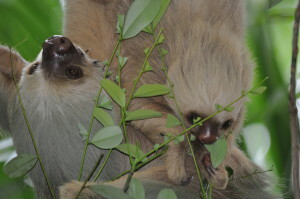 Watch spyder- and howlermonkeys passing by in the trees, discover the sloth sleeping all day long, a lot of birds and butterflies until the crocodile swimming in the river! 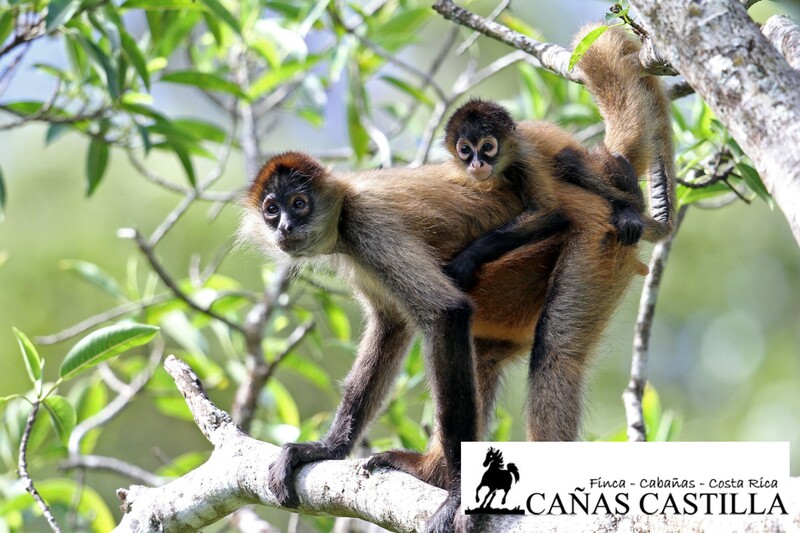 Walk along the naturetrails on the farm to learn about the flora and fauna of this tropical dry forest area or go on a horesbackride a nice experience in this mountainous area! 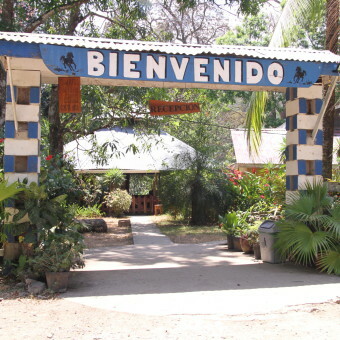 Enjoy breakfast in the rancho, having a pleasant view down to river Sapoa and a homestyle dinner in company of other visitors, having the possibility to exchange travelexperiences! Visit from here the lovely beaches of Bahia Salinas, only 30 minutes by car! Also the Nationalparks Rincon de la Vieja or Santa Rosa! 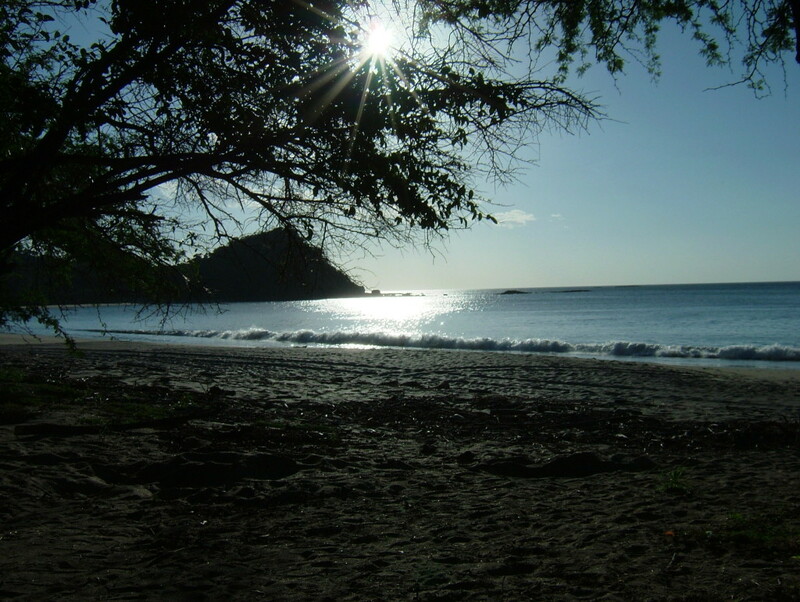 You want to go into Nicaragua? This is the perfect place to stay! With pleasure we arrange a tour for you or give you tips for the days aboard, leaving your car safely parked with us! 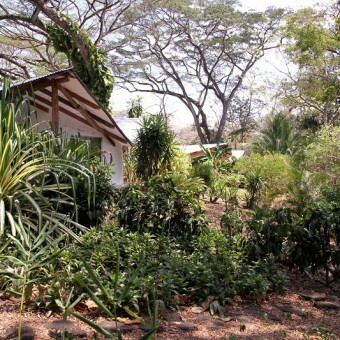 Cañas Castilla Farm is located in northwest Costa Rica and covers sixty eight hectares along Sapoá River. 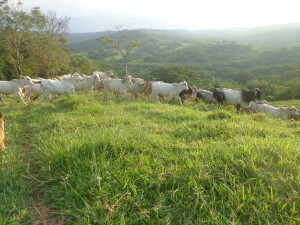 The property is mountainous with a lot of trees, bushes, and pasture for cattle and horses. We have other animals such as our two dogs, turkey and a dozen chickens. From the top of the hills there is a splendid view of Orosi volcano (Costa Rica) from one side, and of Concepción volcano in Lake Nicaragua from the other side. 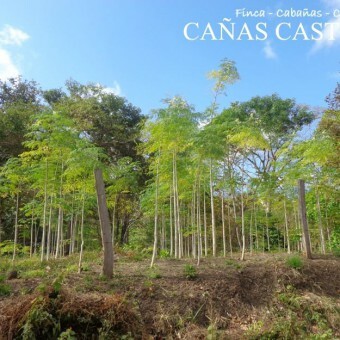 Three hectares of the farm are cultivated with teak, also 2 hectars of the miracle tree: moringa. For our own consumption we maintain many orange- and lemontrees, dragonfruit, grapefruit, banano, plantain. In addition are growing: soursop, avocado, coconut, mango, cashew, papaya, star fruit and tamarind. During the rainy season we also grow cucumbers, corn and squash. 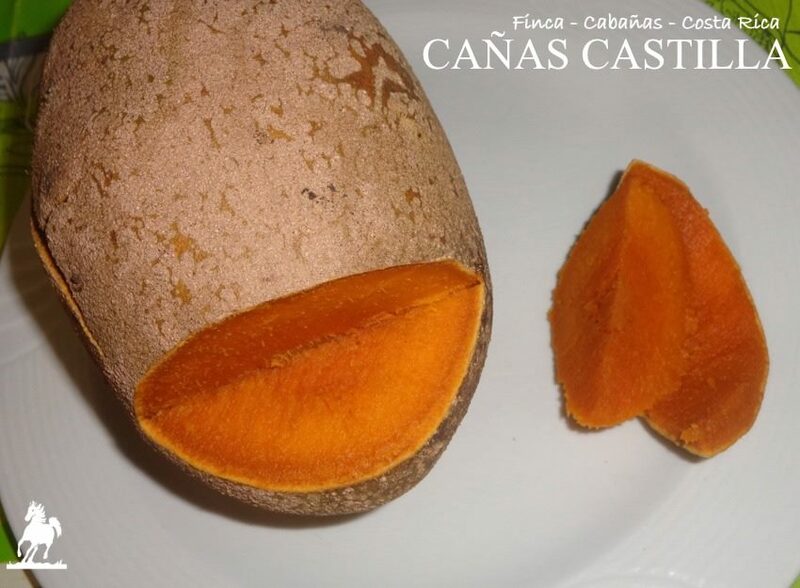 Come in and visit us to experience an unforgettable adventure in the country and enjoy the friendly, familiar atmosphere in Cañas Castilla! The Swiss owners Agi and Guido Sutter are looking forward to welcome you! 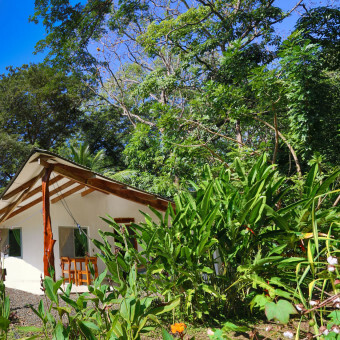 The Sloth cottage (Cabaña Perezoso) contains a double bed, a wardrobe, a rocking-chair, aircondition, a ceiling fan, and a private bathroom with a shower and hot water and safe-deposit box. For those who prefer to do their own shopping there is a kitchen fully equipped with a dining room, a gas cooker, and a small refrigerator. 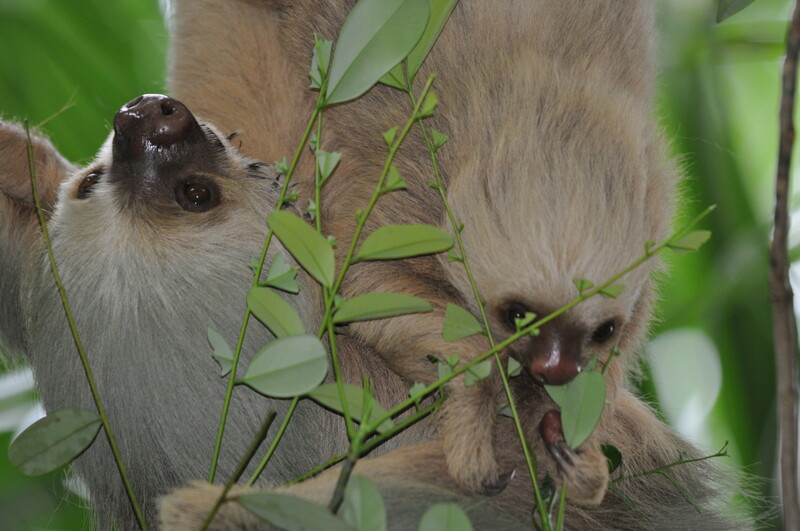 Lie down in the hammock like a sloth and resign yourself to the pleasure of doing nothing at all. 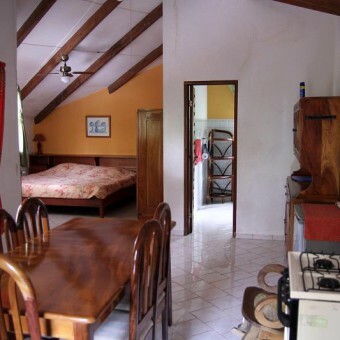 The Squirrel cottage (Cabaña Ardilla) contains a double bed and two single beds, a wardrobe, a rocking-chair, aircondition, two ceiling fans, hammocks, table with chairs and safe-deposit box. In addition, there is a private bathroom with a shower and hot water. From the terrace one can watch the activities of the various animals that live on the banks of Sapoa River. 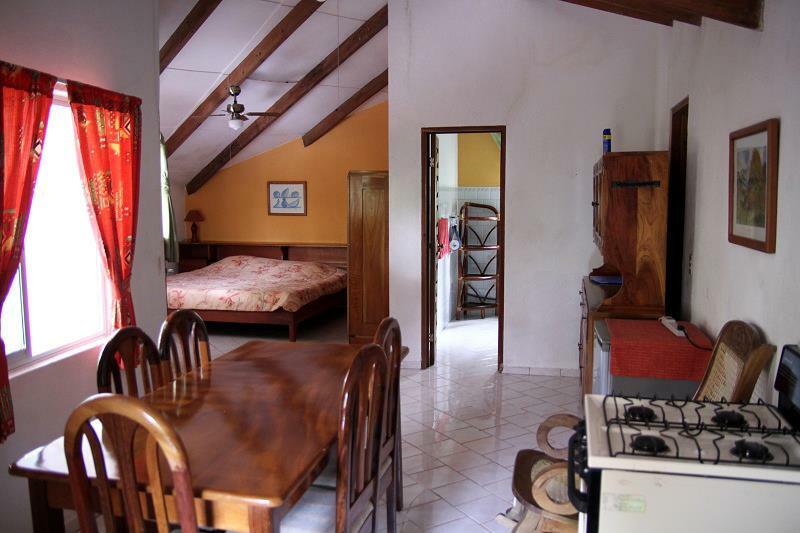 The Gecko cottage (Cabaña Gecko) contains two double beds, wardrobe, private shower (hot water) with WC, aircondition, table and chairs, rocking chair, small fridge, safe-deposit box and 2 ceiling fans. 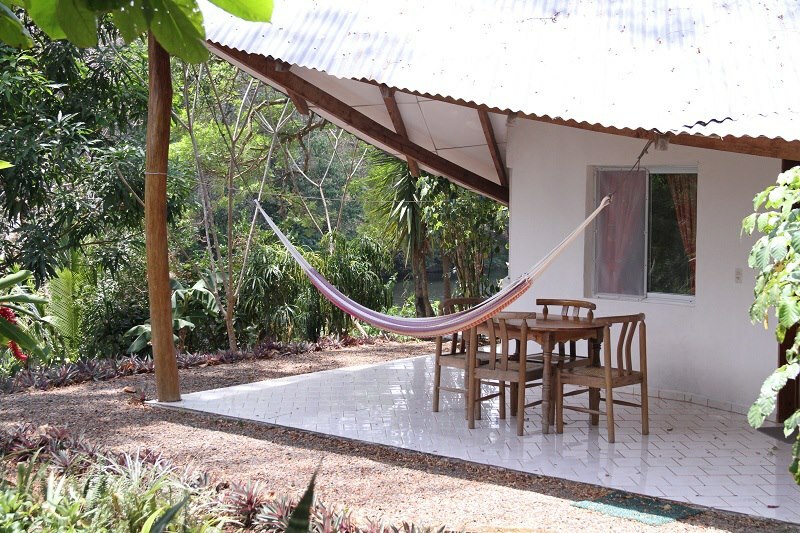 Enjoy the view from the terrace to the river and relax in the hammock surrounded by tropical diversified vegetation!. 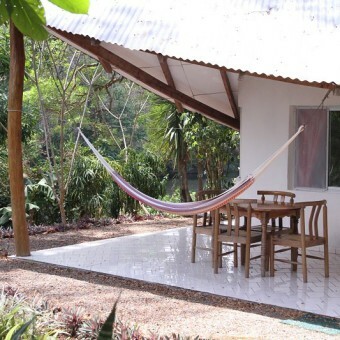 The golden oriole cottage (Cabaña Oropendola) contains a double bed and two single beds, a rocking-chair, aircondition, two ceiling fans, a table and chairs, hammocks, and a private bathroom with a shower (hot water) and safe-deposit box. From the terrace you can enjoy the view over the splendid cenizaro trees, and watch the sun set on the banks of Sapoa River. 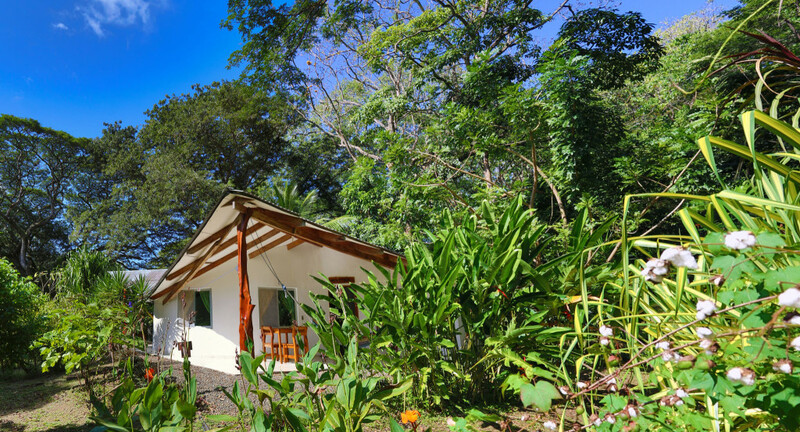 The Tucan cottage (Cabaña Tucan) contains a double bed and two single beds, aircondition, a private bathroom with a shower and hot water, a table and chairs, a wardrobe, two ceiling fans, hammocks and safe-deposit box. From the terrace you can enjoy the fantastic view overlooking ancient trees, and observe a variety of wildlife. 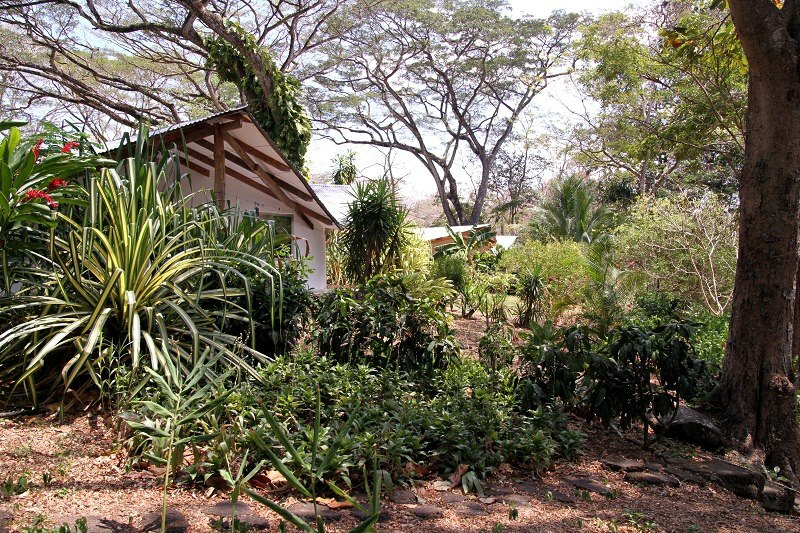 The Iguana cottage (Cabaña Iguana) is the last one in our natural refuge, is called “Jungle cottage” and offers a view of the river and the surrounding nature. From the cottage you can hear the Sapoa River running, toads croaking, and multiple different birdsongs. 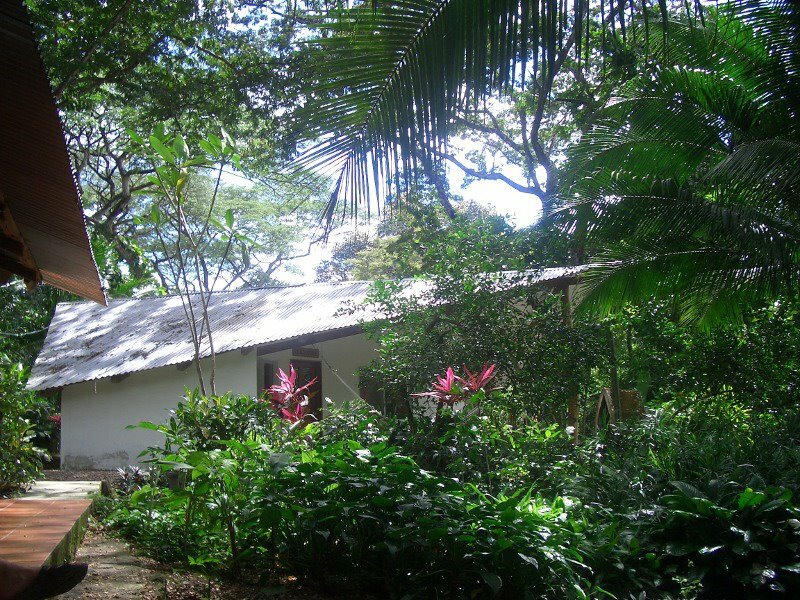 The cottage contains a double bed and two single beds, a private bathroom with shower (hot water), aircondition, two ceiling fans, table with chairs, wardrobe, hammocks and safe-deposit box. You may feel invited to awake with the sunrise and go explore. The architecture of the buildings gives the cottages a special charm. 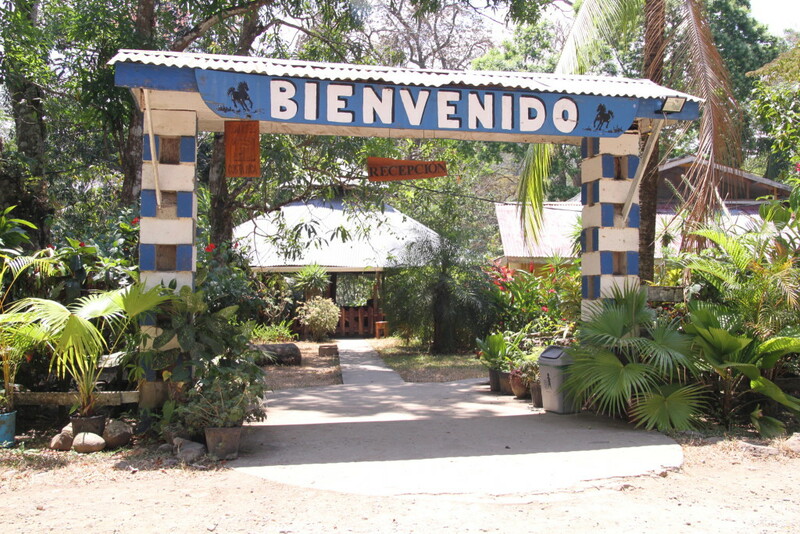 The accommodations are situated only a few meters away from the reception and the ranch. 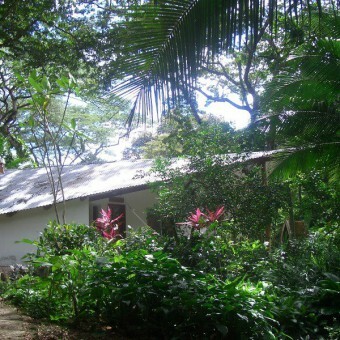 All cottages are wheelchair accessible, and have a private parking area. They are fully furnished, and are equipped with aluminum windows, mosquito netting, and safe-deposit box, ceramic floors, 110V/60Hz power outlets, a clothes line, and a hammock. In addition, each has a covered terrace offering a view of the Sapoa River which can be reached via stairways that lead directly from the cottages. There is a small library on the side of the ranch, where we lend and exchange books. 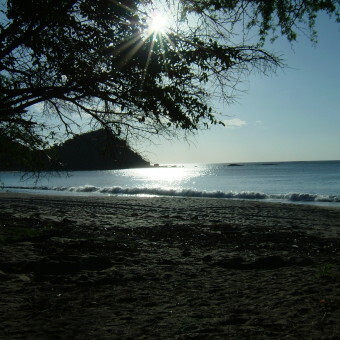 Additionally; we offer a variety of games, and can provide tourist information for your stay in Costa Rica. 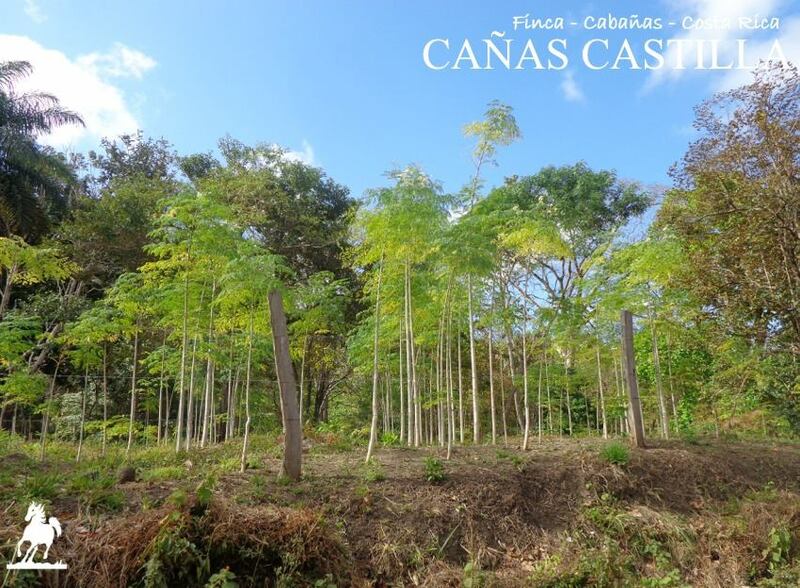 Enjoy the “Pura Vida” lifestyle at Cañas Castilla, among tropical ornamental plants, under the shade of the ancient trees. Or, you can have a rest in the silence of dusk on the banks of Sapoa River after a busy day. 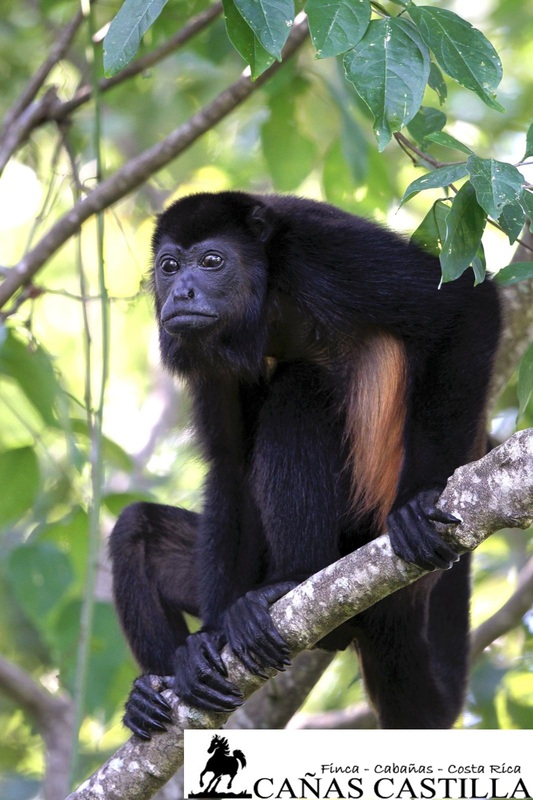 Congos, monkeys, foxes, sloths, hummingbirds, green parrots, woodpeckers, trogons, and a great variety of butterflies, to mention only a few. In the peaceful river you can discover lizards, crocodiles, different herons, motmots and even otters.